Indulge in a laid-Back, tropical atmosphere: the Caribbean beaches along the less populated Limon Province have an entirely different feel from its counterparts in the Pacific. This area tends to produce smaller boutique-style accommodations engraved in the local culture and evergreen tropical flora. White sand beaches can be found next to black powder ones. And the amount of flora and fauna is more abundant in the lush jungle surrounding the pristine beaches. The best hang-out beach is Puerto Viejo while Cahuita is known for its National Park and snorkeling and its stunning reef. 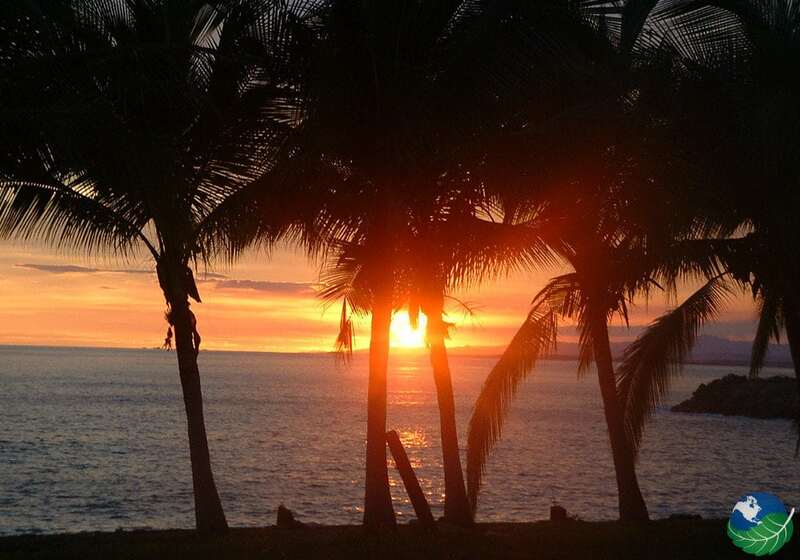 Visit Costa Rica ‘s Caribbean Coast and combine adventure with culture and relaxation! 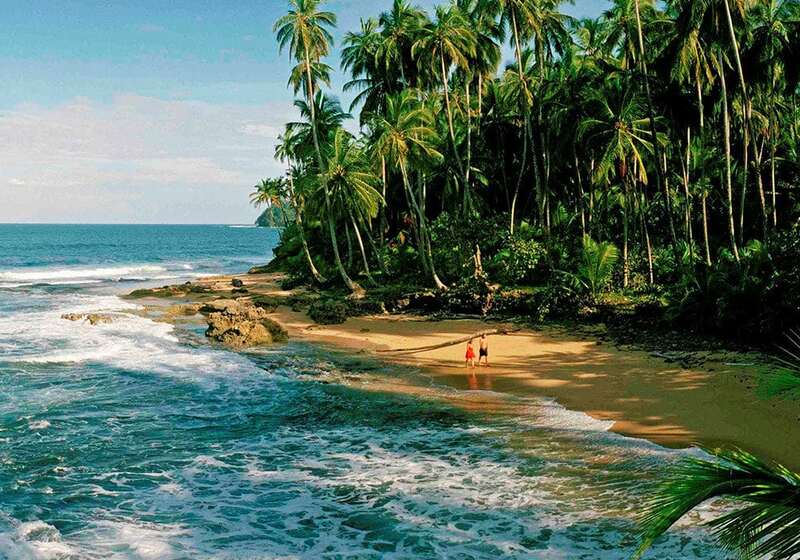 The Northern Caribbean beaches of Costa Rica face an open ocean and are some of the most remote in the country. They tend to have rough waves and strong currents and their black sand attracts marine turtles for their nesting grounds. That makes these beaches elemental to the marine ecosystem. Tortuguero National Park is a remote little beach town on a river in the jungle. It is most notable for its boat tours and volunteer / conservation programs to protect the green sea turtles. The Southern Caribbean Coast is embedded in an Afro-Caribbean culture. It thrives to coexist with nature. Nature also plays a huge role in the surroundings of Costa Rica’s prime Caribbean beaches destinations. 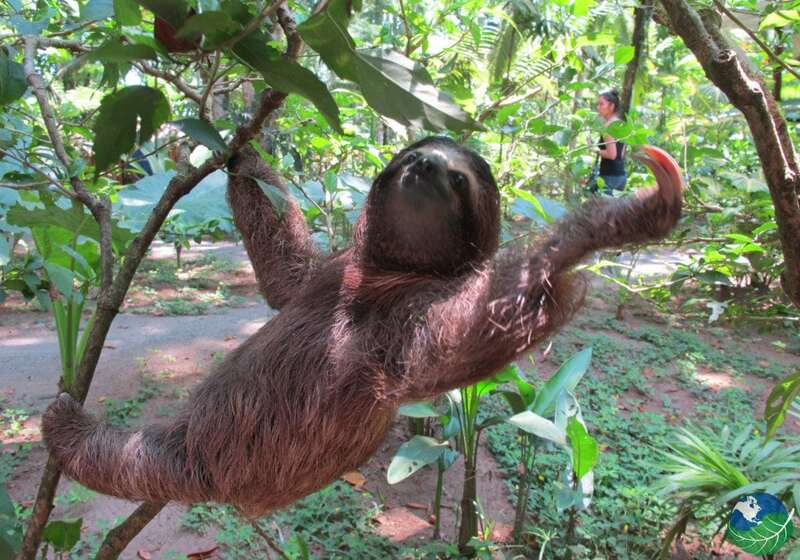 It’s very easy to spot monkeys, birds, and sloths in the trees here, just look for the tourists pointing upwards with their fingers. 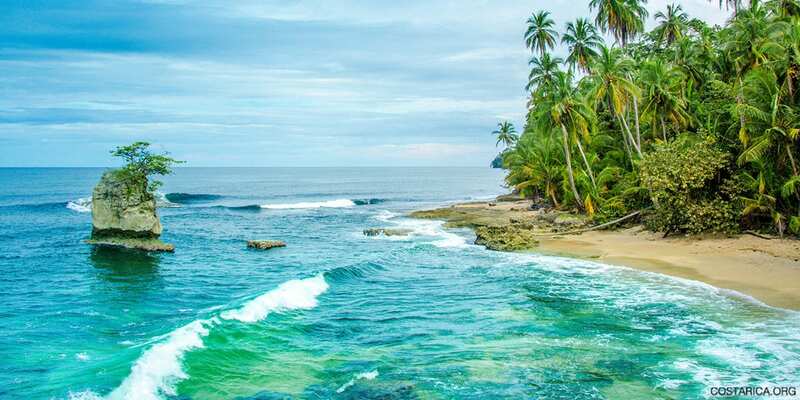 The best beaches in Costa Rica’s Southern Caribbean are Cahuita, Puerto Viejo de Talamanca, Cocles, Punta Uva, and Manzanillo. These beaches are perfect for swimming horseback riding, hiking and simply enjoying some quiet beach time. Visit during the Caribbean dry season: All in all, an excellent time to visit this area is in September and October. But keep in mind that this is the Caribbean and even the so-called dry season can have a little rainfall so don’t be surprised if this happens during your trip. Attend the Carnival Festival: Costa Rica has stunning nature but we shouldn’t forget the people and its traditions! 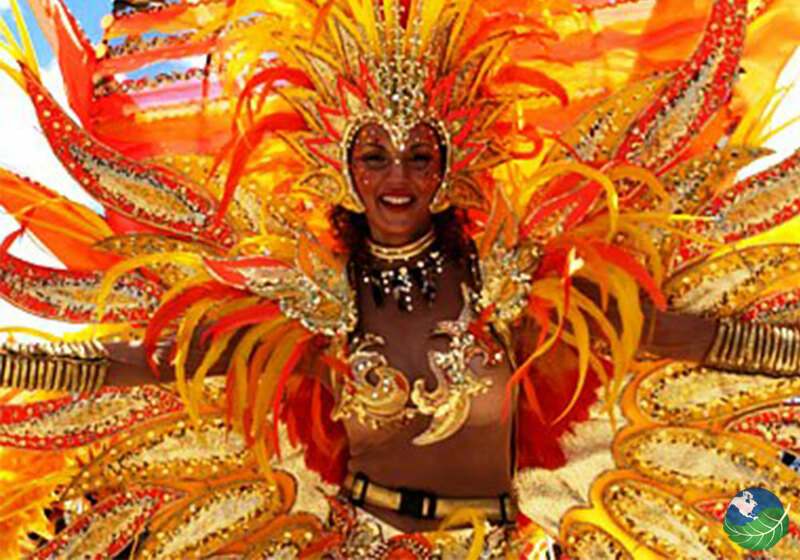 With the abundance of Afro-Caribbean lifestyles, the annual Carnival Festival is definitely worth a visit. Explore the Caribbean Coastline: From the canals of the beautiful, off the beaten path destination of Tortuguero to the laid-back party town of Puerto Viejo, explore the diversity of the Caribbean coastline! There are two international airports in Costa Rica but the closest one can be found the capital of Costa Rica, San Jose. Most major airlines fly there. Click for more information on flights to Costa Rica. Once you’ve landed in San Jose, you have a few options to get to the Caribbean Side. You can take a domestic flight, a shuttle, private transfer or you can rent a car. Talk with one our expert Travel Agents to figure out which transportation method is best for you! When visiting the Caribbean side, travelers explore the local dining culture in the various bars and restaurants. Like the rest of Costa Rica, you can enjoy gallo pintos and casados, but here they will flavor them a little differently. Most notably is the coconut flavored rice that accompanies most of the Caribbean dishes. Give it a try! In Cahuita, visit The Goddess Garden. Here you can combine Cahuita’s natural beauty with a stunning yoga retreat. Hotel Banana Azul is a perfect hideaway near Puerto Viejo where you can enjoy beach life as it was meant to be! 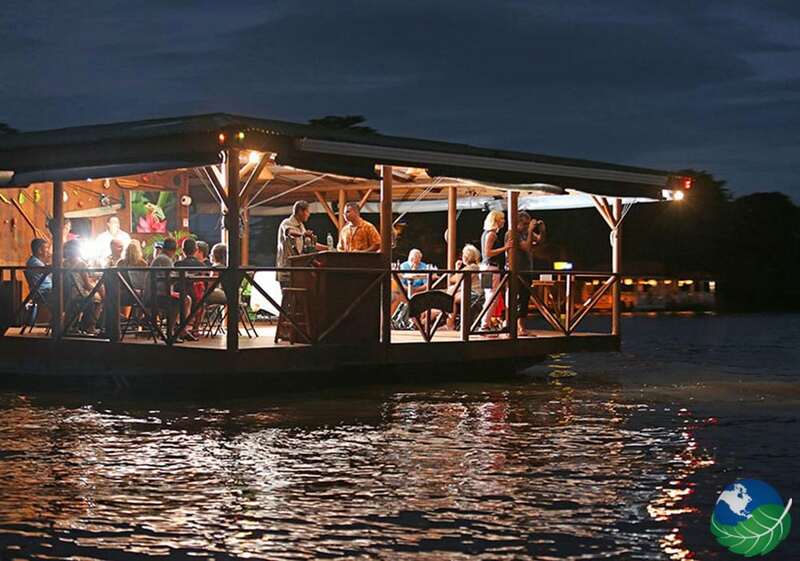 When staying at Tortuguero, none other than Mawamba Lodge should be on your list.